British Airways flies from 16 U.K. airports and is a long-standing airline, celebrating its 100th birthday in 2019. If you’re looking to take advantage of British Airways’ expansive route network, then everything you need to know, from baggage fees to inflight amenities, is detailed below about this international carrier. British Airways Route Map. Image courtesy of britishairways.com. British Airway’s Executive Club rewards members with Avios points when flying with the airline itself and with Oneworld alliance partner airlines. The more you fly, the more Avios you earn; Avios can be redeemed for reward flights and will also go towards your membership tier status. 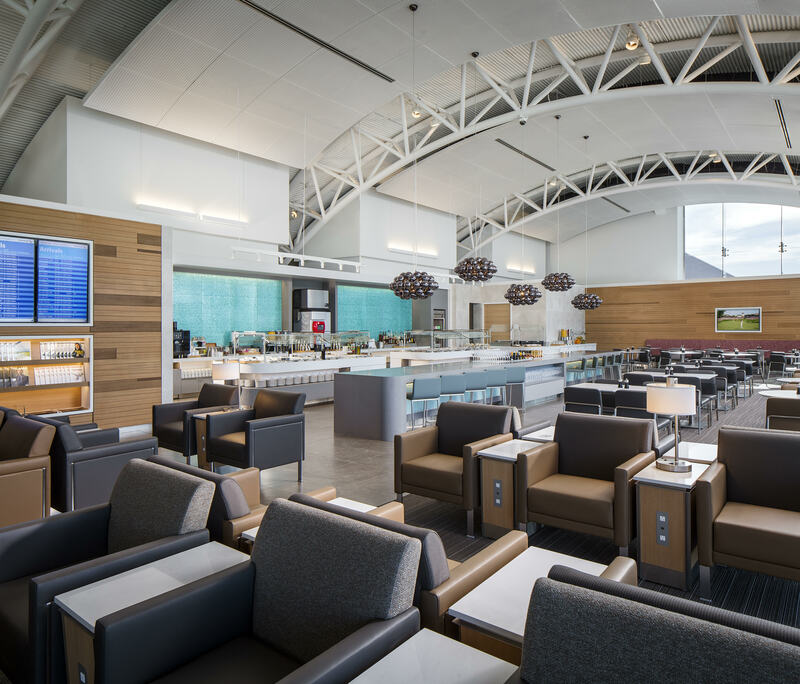 This gives members additional benefits such as free seat selection, priority boarding, access to lounges, and bonus point earnings. Apart from flying, there are also other ways of earning Avios, including shopping, chauffeur services, hotel books, and financial management. It’s even possible to pool multiple reward accounts into a household account with family members and by joining up you can claim Avios on any flights 3 months prior to membership. Hot Tip: Once you’ve started earning Avios, check out our article on the best ways to redeem British Airways Avios for max value. British Airways offers an economy and business class on their short-haul flights. Basic: Pre-selected seat and carry-on luggage only. No changes or refunds. Plus: Seat selection (opened 48 hours before departure), checked and carry-on baggage, and free changes on departure day. Plus Flex: Seat selection at any time, checked and carry-on baggage, and free changes or cancellations at any time (up to 1 hour before departure and fare differences may apply). Standard: Seat selection (opened 24 hours before departure), carry-on and checked baggage, board earlier than Basic fare passengers, and changes allowed, but for a fee. British Airways Baggage Allowance. Image courtesy of britishairways.com. British Airways’ baggage policy is pretty straightforward for checked-bag allowance. However, their excess baggage policy is less straightforward, with costs dependent on where you’re flying to and from. Passengers can bring a personal item and 1 standard carry-on piece for free. One collapsible stroller, per child, can be checked at the gate for free. If the stroller meets the maximum dimensions of 117 x 38 x 38 centimeters (46 x 15 x 15 inches) when collapsed, then the stroller can be checked at the gate and collected from the arrival gate immediately after disembarking. Strollers that exceed these dimensions will need to be collected at the baggage carousel. Excess baggage fees start at $46 and, depending on the departure airport, destination, cabin class and where the fee is paid, may be much higher. For detailed information about excess baggage fees, check out our dedicated article on British Airways baggage fees & tips to cover the expenses. This article also details which frequent flyer statuses receive additional baggage allowance and which credit cards that will reimburse you for baggage fees incurred. 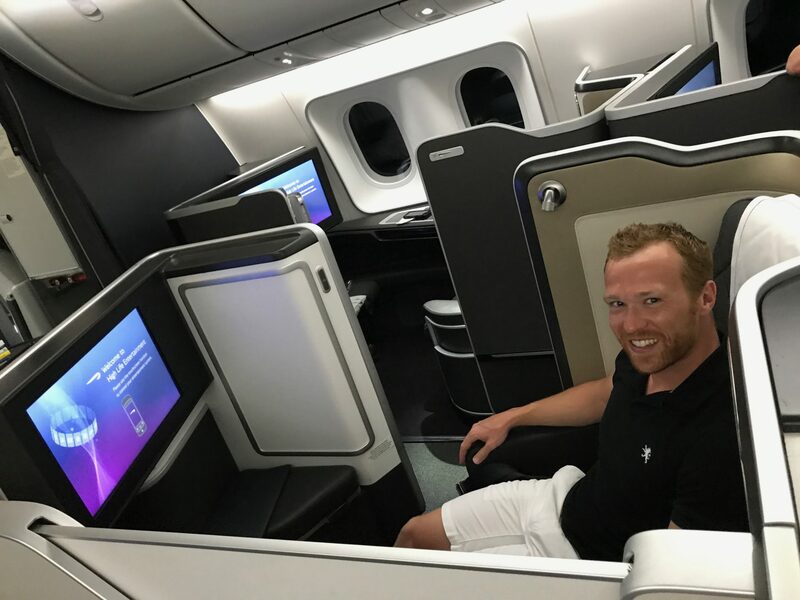 Free for British Airways Executive Club Gold Members booking a reward flight. Change Fee: Free (online); $25 (phone); $35 (at an airport ticket office). A ticket change fee may also be charged depending on your fare type. This ranges from $0 to $275 and will be displayed at the time of booking. Any fare differences would also be payable. Same Day Change: Free for domestic short-haul flights; fees for international tickets depends on route and fare class. Same day changes can be made up to 1 hour before departure. Unfortunately, same day changes are not permitted if you have a flight connection or are traveling on a long-haul flight. Unaccompanied Minor: Accompanied service was discontinued so adult fare would be charged for minors, 14 years-of-age or over, who will be traveling alone. Transporting a pet: pets are not permitted to be transported in a carry-on. British Airways Food and Beverage. Image courtesy of britishairways.com. For long-haul flights departing London Heathrow, a complimentary meal is provided. You can also opt to upgrade your meal to BA’s exclusive online menu. There are 6 meals to choose from ranging in price from £15 to £18. British Airways Euro Traveller. Image courtesy of britishairways.com. British Airways World Traveller. Image courtesy of britishairways.com. British Airways World Traveller Plus. Image courtesy of britishairways.com. Meals including the option to choose from 2 dishes from the Business Class menu. 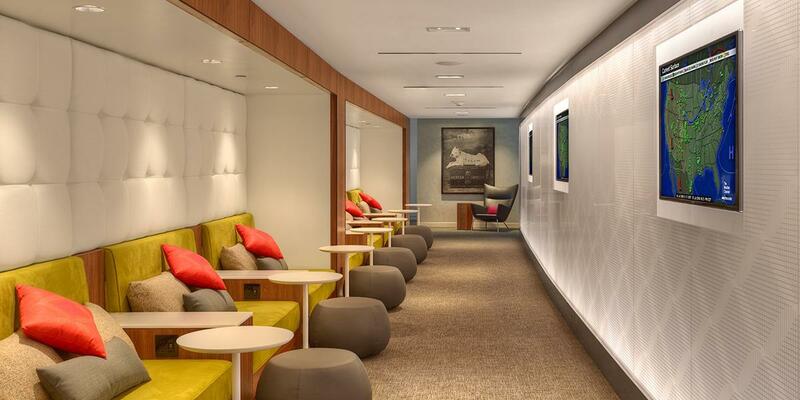 British Airways Club Europe. Image courtesy of britishairways.com. British Airways Club World. Image courtesy of britishairways.com. British Airways Club World London City. Image courtesy of britishairways.com. British Airways has a fleet of 240 planes made up of 12 aircraft types making BA’s fleet one of the most modern fleets in the world. We’ve included seating specs below for some of their most common planes, but you can view the full fleet here. British Airway’s customer satisfaction has sadly tailed off in recent years, with stiff competition from low-cost carriers for its short-haul routes and competitively priced Middle-Eastern airlines for long-haul flights. Historically hailed as the ‘World’s Favorite Airline,’ this doesn’t appear to be the case anymore with customers taking to social media to voice their disappointment. These complaints are widespread and varied, covering lost baggage, poor customer service, decreased value, delays, and refund issues. Passengers have also voiced that BA seems to be unresponsive to comments on their social media channels, which simply causes more frustration. Customers were not pleased with the 2017 changes to stop offering free food on short-haul flights. However, BA has formed a partnership with the much-loved British retailer, Marks & Spencer, to try to offset the displeasure of paying for food with offering such a reputable brand for purchase. There is some good news on the horizon! BA is working through a number of aircraft refurbishments and plans to retire their fleet of older Boeing 747s by 2024. So it looks like they are taking note of customer complaints about tired and outdated aircraft. No official statistics can be found on the U.K.’s Civil Aviation Authority website caa.co.uk. British Airways has a 7 of 7 safety record, as awarded by AirlineRatings.com. This rating takes into account whether the airline has an IATA Operational Safety Audit Certification, in addition to government and crash records combined with information from the world’s aviation governing body. 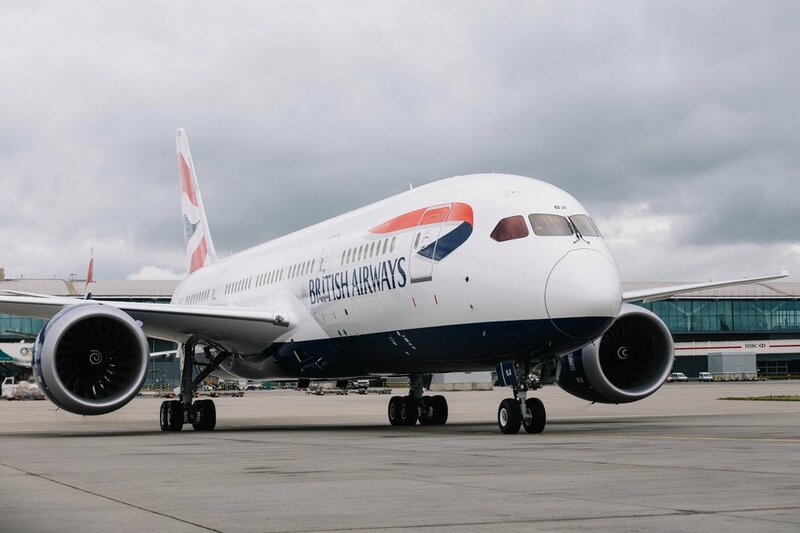 BA has had its share of IT system failures with a severe incident in 2017 that grounded flights for 3 days, along with a subsequent incident in 2018 grounding and delaying flights from London Heathrow. These were followed by a malicious data breach in September 2018. All of these incidents caused customers to question BA’s reliability. British Airways Flying Start. Image courtesy of britishairways.com. In 2010, British Airways partnered with Comic Relief to establish the Flying Start program that collects unwanted currency from customers and donates it to many Comic Relief projects around the world. To date, the project has raised over £20 million. BA also donates to disaster relief projects and flies volunteers and aid workers to relief locations on chartered flights. With its extensive route offering, preferred time slots at major airports, and professionalism, BA is still many passenger’s choice of airline. Greater competition across it’s route network has kept BA’s prices from soaring sky high, with ongoing price wars between BA and Virgin Atlantic, in particular on their transatlantic routes. Now also heavily competing with low-cost carriers in the European market, BA has taken a risk changing up their business model when they had such an established reputation, and although they are striving to regain that respect, they’re not changing quickly enough for customers. Even with the customer dissatisfaction, we acknowledge that BA offers great routes internationally, including its popular London-JKF route among business travelers, with many additional connecting short-haul flights to all major European cities.